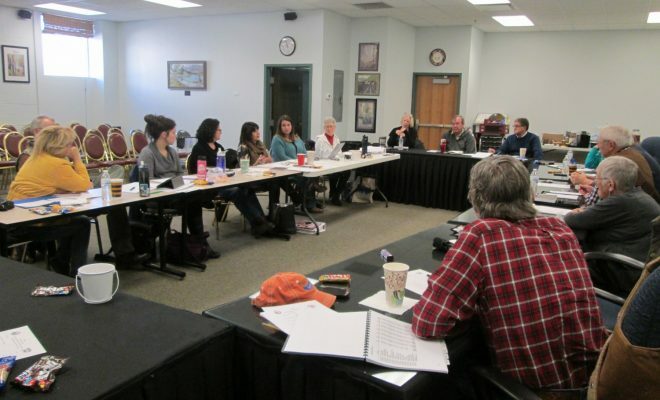 The Palisade Chamber of Commerce Board of Directors opened their Annual Retreat on Saturday, Feb 4th, with a breakfast meeting with the Town of Palisade Trustees. Economic Development, Hwy 6, the downtown corridor, Palisade Plunge and the Cameo Shooting Range were just some of the topics discussed. The two boards enjoy coming together on issues that effect the community and local business growth. “Everyone wins when community leaders can work together for a common good.” said Board of Directors Chair, Scott Holzschuh.